Do we really need compact phones? Over the past few years, smartphones have been growing and growing, presumably driven by customer demand for bigger and bigger screens. When the first Galaxy Note launched, it was mocked for having a “needlessly big”, 5.3-inch screen. But it happened to spark a revolution and start a trend of bigger and bigger smartphones. Here we are, in 2019, and a 5.5-inch screen is just your regular, run-of-the-mill phone. However, as they grew in size, we still had a compact phone offering here and there. Sony always had a Compact series of its main flagship line, offering a smaller phone with the same hardware as the bigger brother. Apple’s iPhones had the SE, which is a cute little munchkin, and even the regular iPhone 6 - iPhone 8 (non-Plus) are quite pocketable. Samsung’s Galaxy S line up until the screens got taller also had a fairly condensed form factor. Today… there’s nothing out there that we would really call “a compact flagship”. Actually, even midrangers are usually quite big. Sony’s Compact series is the only survivor, though rumors say that we might not see an XZ4 Compact this year. On the Internet, people are lamenting the fact that there’s no choice for a tiny, easily pocketable, yet powerful flagship phone. Yet, if manufacturers collectively went for the bigger phones, and abandoned the idea of making anything compact, maybe they were driven by consumer demand? Maybe the compact units they made in the past were gathering dust in warehouses? What say you? Do we really need compact smartphones? Do you have a small handset as a daily driver right now? Do we really need compact flagships? Come to think of it... probably not. Not for me, but a friend of a friend really wants one! Yeah, I am waiting for a nice, small flagship with a great camera! Come to think of it... probably not. Not for me, but a friend of a friend really wants one! Yeah, I am waiting for a nice, small flagship with a great camera! I know a lot of co-workers would love a small phone like the 5S but with updated internals. I wouldn't mind an extra smartphone that is smaller so I can take it with me when going out and just leave it on my pocket. https://youtu.be/8bfyS-S-IJs Start it 1:00 in. Short people got no reason to live. They have little hands, and little feet. Yes please. I want one! My X is the biggest I can do but I would love a smaller phone. We definitely need more compact options. I recently switched from my iPhone X back to an iPhone 7 because the X was too big and heavy. Wow, how's that been for you? I did the flip of that. I like the X and Face ID but regardless of what anyone else says, there is a size and weight difference between the two. I wish that it was smaller. My only complaint is the iPhone 7’s battery life. Other than that the 7 is the perfect size and weight imo. Speaking of compact, here is new idea/innovation we need, what if some way we can manipulation the glass and bend light make the screen look bigger. Similiar to the way magnifier on the watch where the date is. I hope that an xz4 compact is coming, but I don't think so. I don't think we ever had a really good compact flagship apart from the Xperia Z1 Compact. Some iPhones are indeed relatively small in comparison to others but not small enough to qualify as mini flagships. 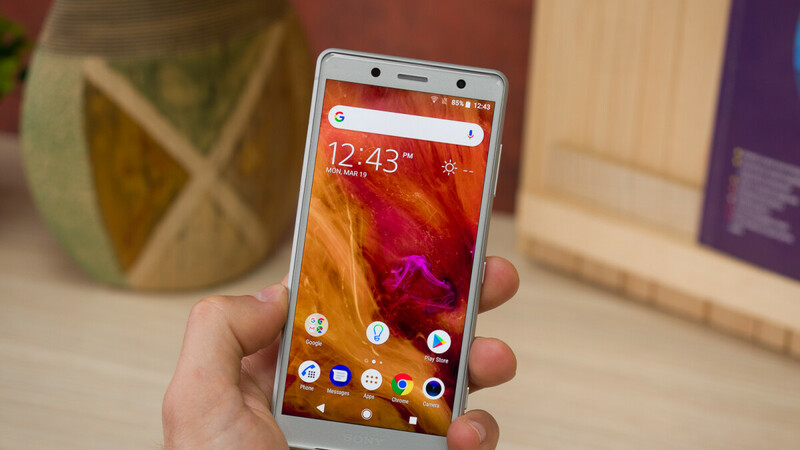 All other compact flagships from Sony after the Z1 had a huge drawback: they were not identical, mini versions of the respective flagships, but they also included a cheapening factor be it materials, or other hardware differences. I think the correct way would be to be identical to the standard flagship but just shrunk in size (more or less the opposite of the nowadays popular practice between standard and plus models). The short lived Samsung minis and others were even worse, glorified midrangers. So for me the compact flagship segment didn't even exist ever after the Z1 Compact. i prefer android but i am using my old iphone 8 and i think its the perfect size. Im the type of girl that usually likes em big but when it comes to phones some smaller sizes are good. But only phones..
Yep, for phones, I'm for what fits in the bag and my pocket easily. I think battery longevity plays a huge factor when manufacturing a smaller phone. You still need to have room for all of the internal components, but you're left with a smaller area for the battery in these compact devices. If you're making a small device, you don't really need it to be slim for it to still be comfortable in the hand. If the SE had to sacrifice a "thin waist" for bigger battery, I'd go for it anyway, even if it was 12 mm fat. But the Sony Xz1 and Xz2 Compact both have extremely good battery life. MAKE SMARTPHONES COMPACT AGAIN! I don't need it to have a great camera, just an emergency shooter. With a powerful LED flashlight, though. I don't even need a front-facing selfie camera, I've literally never taken a photo of myself. I don't understand what's the hype about. If I want a photo of myself, I ask someone else to take it for me. I do want a small smartphone. I recently bought the Nokia 1, because its 4.5-inch screen was the smallest I could get for my money, not counting the discontinued iPhone SE (not to mention I'm an Android guy) and the ridiculous Jelly, because that's too small for pretty much anything. Screen the size 3-4 inches is the perfect size for everything. I was forced to use my old HTC Touch 2 a few months ago when my main phone broke down, and I found I was okay with it only having a 2.8-inch display. It was resistive-touch, though, so I let my thumb's fingernail grow a little and I didn't even need a stylus to hit them tiny buttons accurately. Also, picking up calls with a physical Call button felt oddly satisfying. MAKE SMARTPHONES COMPACT AGAIN. We do need a compact stylish phone at a reasonable price (below $450). 7XX or even 67X Snapdragon and 4 GB of memory will be enough. Cheapish looking without 3.5 mm thick and overpriced XZ2 Compact was dead on arrival. There is no really good compact phone at reasonable price on the market. But people do need such a phone. There a many millions of iPhone 6/7/8 on hand and owners of them don't want anything bigger in terms of size. The third option : "Yeah, I'm waiting for a nice, small flagship with a great camera", is exactly what is in my mind. It is as if you guys were reading my mind. 5.2" inch device with bazel-less design (~85% screen-to-body ratio) No Notch, No hole 1080 x 1920 pixel (1.77 aspect ration is must) Decent Single Rear Camera with flash 3300 mah battery Dual sim with additional sd-card slot 3 gb ram with internal 64 gb rom Android-pie Then I am sold. Why there is such no option in market?? If Sony is really that stupid to shut down their only interesting phone, it's really sad. I myself do not use small phones, but I know many people that do. Even I would not mind having a small phone, why not right? If the phone is decent, with no major drawbacks ... size does not matter to me much at all. I miss the days of the 4.5-5" screen. I'm currently using a 2016 Pixel, which is the perfect size to be able to interact with the entire screen one handed, and not have to worry about buying parachute pants to have a pocket large enough to hold your phone without sacrificing mobility. I wish OnePlus would make a successor to the X. Give it the same internals as the 6T (or whatever main model is out at the time), and I'd shell out my dollars. I wanted a Pixel 3, but when Google said starting price was $800, I laughed and said "nope". +1 Agreed on all points. Also the Pixel 3 is actually a bit taller than the 2016 Pixel.